WBA cruiserweight title holder Denis Lebedev (30-2, 22 KOs) got back on the winning track tonight in beating Australian Mark Flanagan (22-4, 15 Kos) in defeating him by a lopsided 12 round unanimous decision on Sunday night in front of a big crowd at the DIVS in Ekaterinburg, Russia. Flanagan, 27, gave it his best shot at winning, but he didn’t have the fire power to beat the more experienced Lebedev. The scores were 119-108, 120-107 and 119-108. Lebedev hurt Flanagan twice in the fight, and knocked him down with a left to the body in the 9th round. Flanagan recovered well in between rounds, but he was unable to do anything in the championship rounds to get a win. As far behind as he was, Flanagan would have needed a knockout to get the victory over Lebedev. Lebedev’s jab was working well for him tonight. He was a jabbing and connecting with hard left hands in rounds 4 through 6. Lebedev wasn’t that busy, but neither was Flanagan. The 27-year-old Flanagan wasn’t pushing a face pace that you would think from a younger fighter that was trying to take the title from an aging champion. Flanagan had to know that he needed to pressure the older Lebedev for him to have a chance of winning the fight, but he wasn’t taking charge the way he needed to. Flanagan didn’t look all that inspired. His resume didn’t show that he had the talent to be sharing the ring with Lebedev in the first place. That was perhaps the biggest reason for the lack of effort. When you get a challenger with a padded record, it’s asking too much of them to fight smart and show some effort. Lebedev was able to win most of the first 6 rounds based landed a few hard shots. Flanagan could have won the rounds if he’d just gotten out of 1st gear. He was fighting like he was asleep, looking lackadaisical throughout. Flanagan seemed to be trying not to gas out. I would have been a good tactic for Flanagan if he’d gone all out in the last 6 rounds to shoot for a knockout. That’s not what happened. Flanagan continued to fight like he was conserving energy the entire 12 round fight. It was disappointing, but you can’t expect much from a fighter with no real quality wins on his resume. 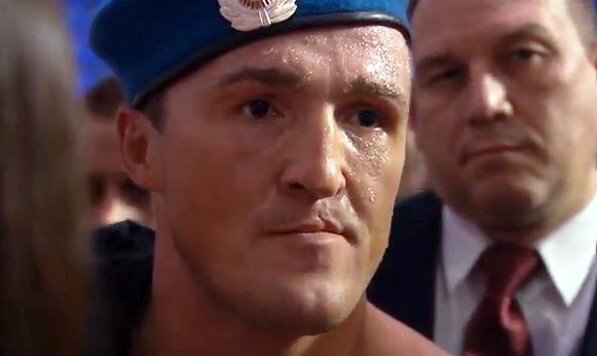 The 37-year-old southpaw Lebedev didn’t look his best in winning. He looked and fought his age. Flanagan didn’t have the talent to expose him. Lebedev lost his last to Murat Gassiev, and that match seems to have aged him. He didn’t fight at the same level as he did in that fight tonight. If Flanagan had some punching power, he might have made the fight interesting. It was good match-making by Lebedev’s management to select Flanagan to fight instead of someone dangerous that might beat Lebedev.